The king is back! Well, if you consider Cyclops the king of the mutants (which I do). We’ve know he was returning for awhile, and technically he already returned at the end of Extermination. Now we finally find out how he’s back after months of wondering. Would this be our Cyclops? Sure enough, it is; the one we’ve followed since the start and the one we watched tragically killed by the terrigen mists. The bookends of this story are new content, while the middle takes us on a ride with young Cable as he finds a way to bring back his father. It actually works nicely, tying in the death to the terrigen mists and even his brief resurrection in Phoenix Resurrection. 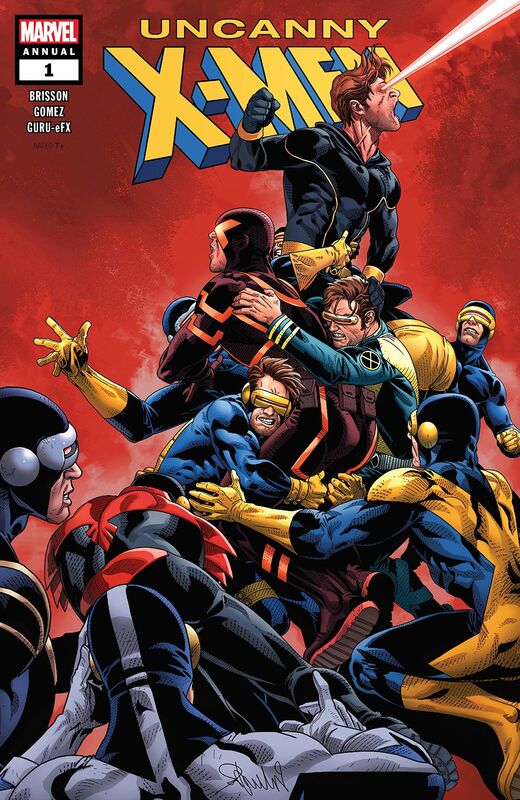 In the end it even explains why Cyclops didn’t need Jean’s call to arms against X-Man in the main series. For a fan of Cyclops, this issue hits all the right notes. Typically Annual issues are fun one-shots that can be taken or left pretty easily. This turns out to be an integral issue of Uncanny readers will not want to miss.